Have a question or a project proposal to discuss? 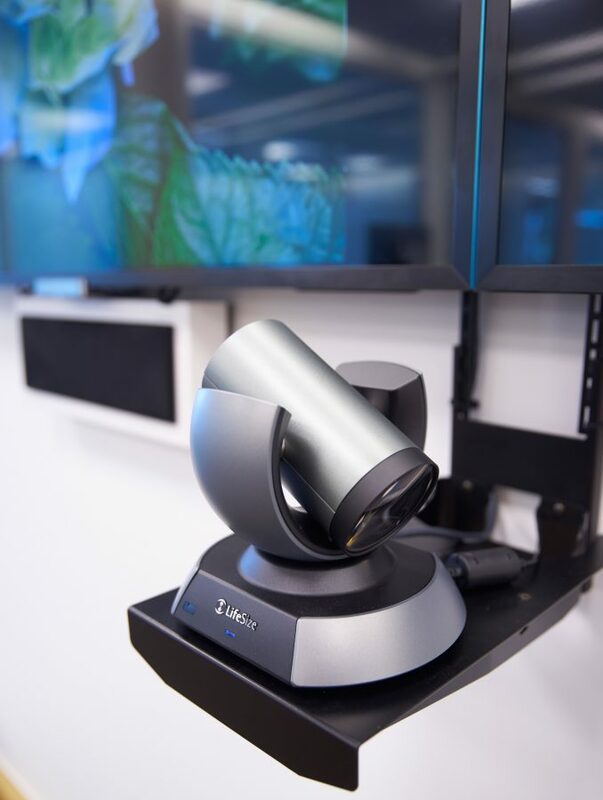 Part of a £26M project funded by the Biotechnology and Biological Sciences Research Council (BBSRC) and is the new hub for commercial research and development at Norwich Research Park, one of Europe’s leading centre for research in Food, Health and the Environment. The Park accommodates over 12,000 people including 3,000 researchers and clinicians with an annual research spend over £100 million. The four-storey building (4,000 sq. 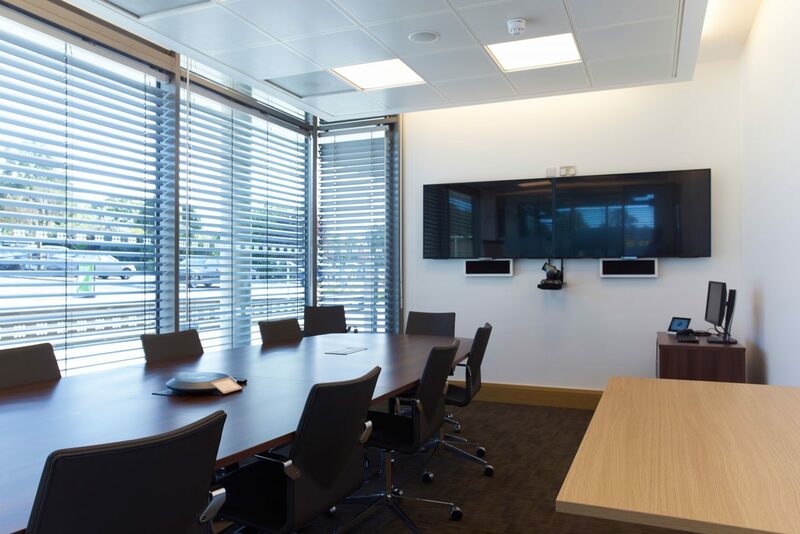 m.) of facilities including laboratory and office space, a business centre, formal and informal meeting rooms. 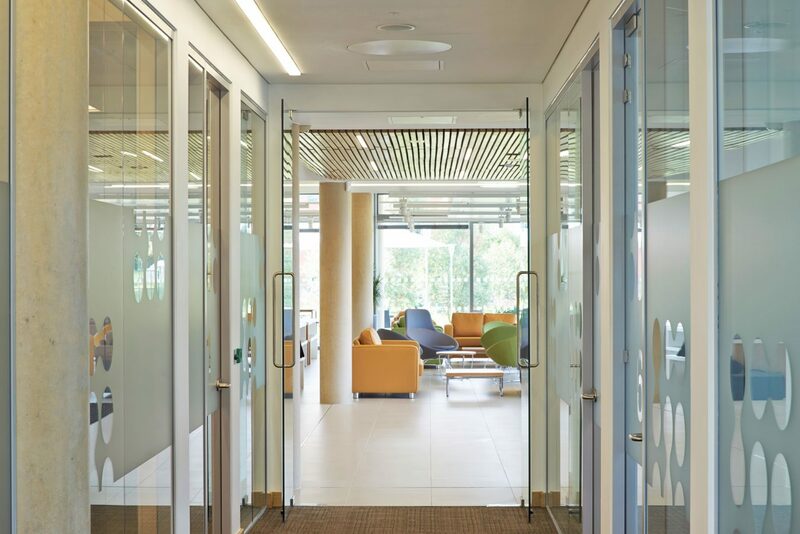 The building was conceived for a single purpose- encourage more collaboration and partnerships between start-up, early-stage companies and multinational corporates in the biotech space. 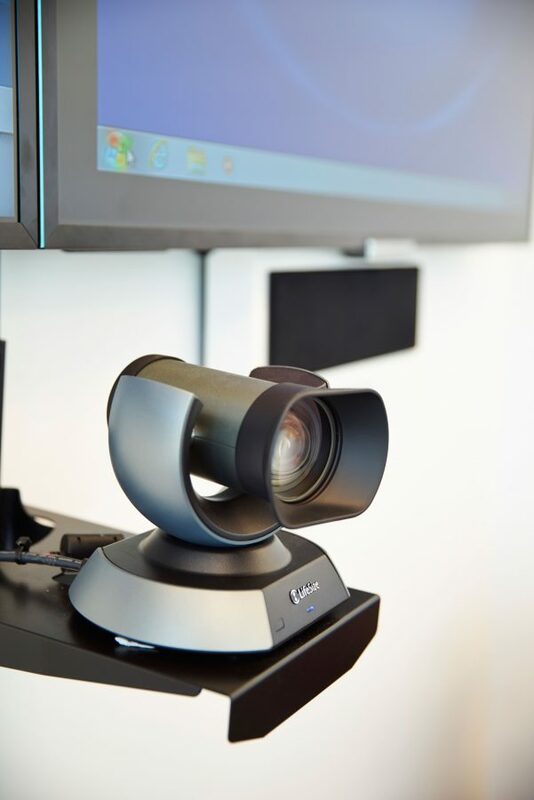 › The brief specified AV systems designed to facilitate such interactions between entrepreneurs, researchers, scientists and multinational corporations to attract inward investments, make new connections, develop new business ideas, and share expertise. › It was also essential to deliver infrastructure throughout the office and laboratory facilities to help build a brand for the space: attract new business tenants to the Park. 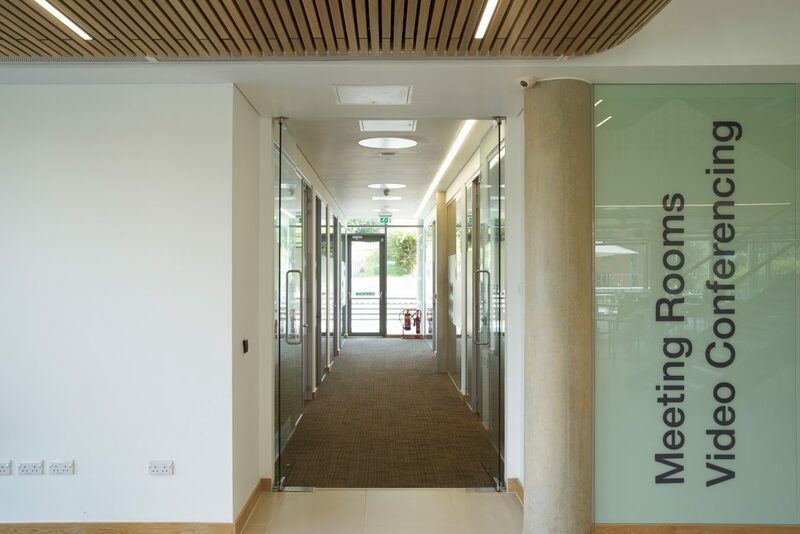 The Centrum houses meeting, networking and events facilities as well as a 140 seat contemporary restaurant and café which is open to both Park residents and visitors alike. Recognising the significance of open/break-out spaces and the café culture to the entrepreneur community, particular attention was paid to introducing interactive elements in the building reception and café. Besides the 47” commercial LED Digital Signage displays, the restaurant area has also been fitted with a 7000-Lumen WUXGA projector to display content on the electric projection screen. To support the projection, a Bose Freespace audio system with 8 speakers and 2 sub woofers was sympathetically integrated within the ceiling raft. 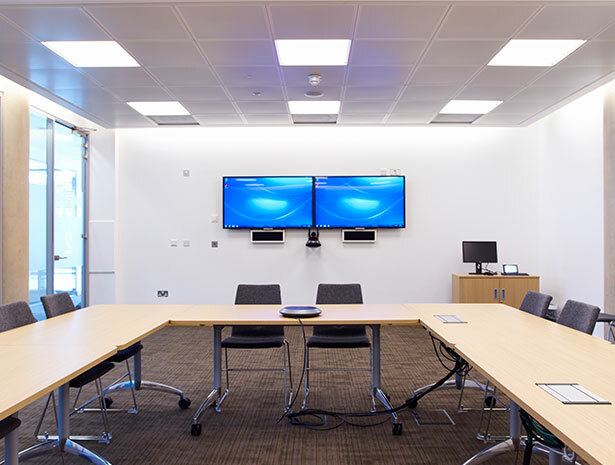 Laboratory, office suites and other workspaces were equipped with their individual AV systems in each of the required areas. 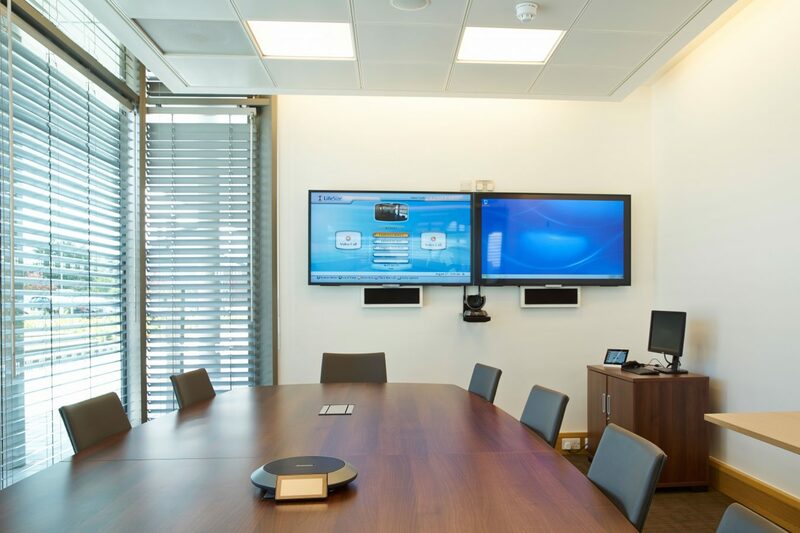 Two meeting rooms in which wall mounted 47” and 55” commercial LED screens were fitted, along with a pair of specially imported DLS Speakers from Sweden. 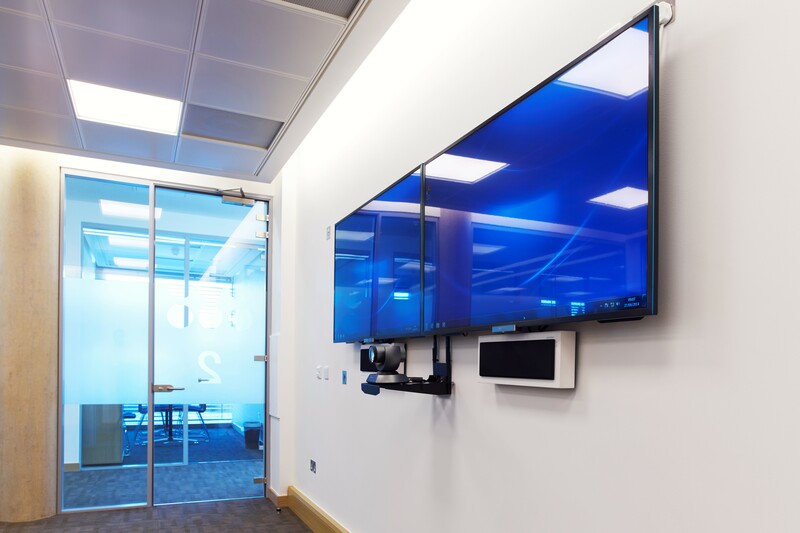 Each of these rooms was also equipped with a flush table mounted Hydraport to allow for devices to present onto the screen via auxiliary connections, with the system controlled by a wall mounted AMX control panel. 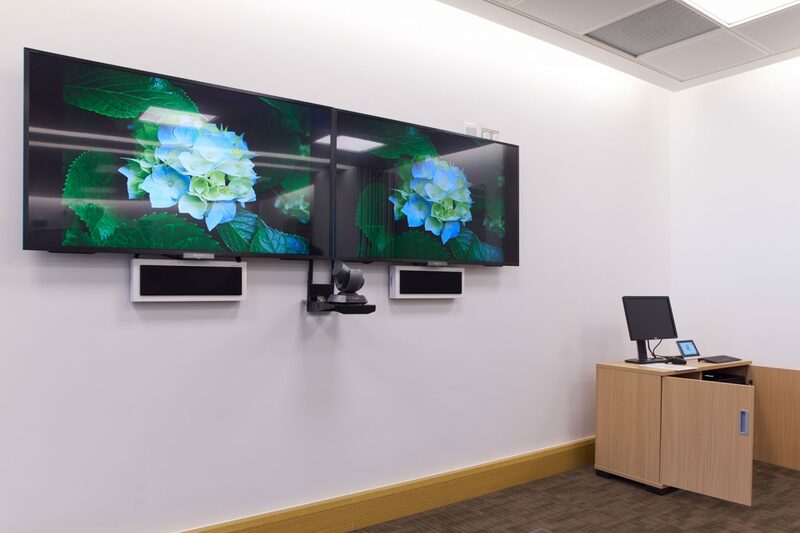 Where required, Epson interactive short throw projectors were installed to display images onto a matte enamel board which can be doubled up as a dry wipe board for brain storming, and a pair of Bose speakers to enhance audio delivery. 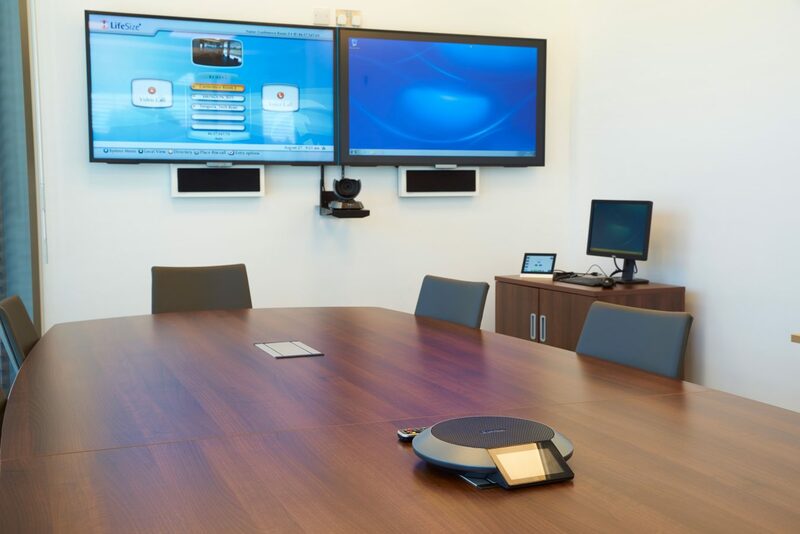 A glass fronted lectern was provided to house an AMX touchscreen control panel, laptop connections, and a HD streaming media encoder to enable presentations to be live streamed onto the network. A Shure wireless microphone system was also incorporated into the system for voice reinforcement of presentations. 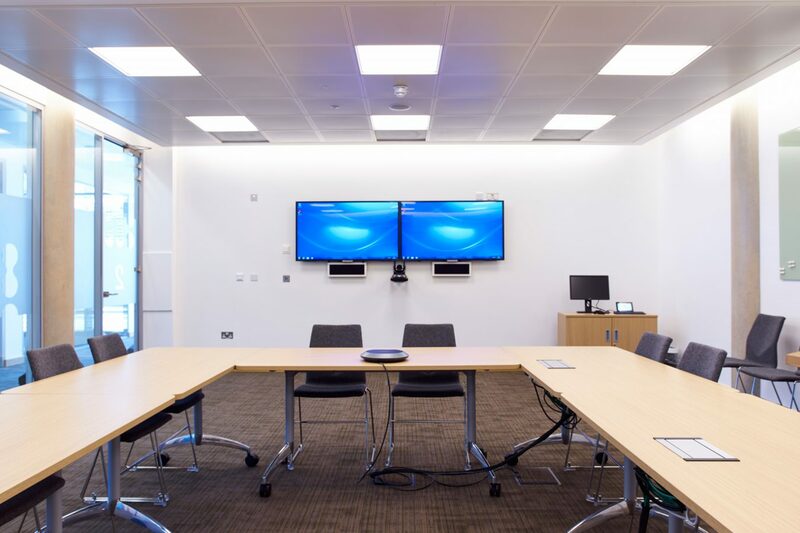 The board room was equipped with dual 55” commercial LED screens along with wall mounted slim DLS Speakers and a flush table mounted Hydraport to allow for devices to present onto the screen via HDMI or VGA. 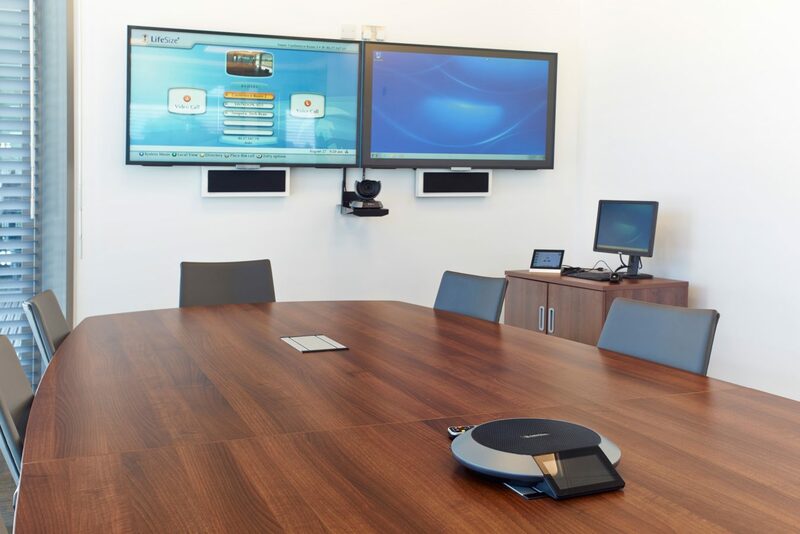 Lifesize video conferencing system was also installed to allow the room to be used for multi-point video calls and an AMX 7” table top touch control panel was provided to deliver full control. The Centrum Building, which opened in July 2014, has since won the New Build Award in the South Norfolk Council’s Design Awards 2014. Learn more about our commission at The Centrum Building. Download the casebook.